Update 4-8-15 – Start R.I.G.H.T. 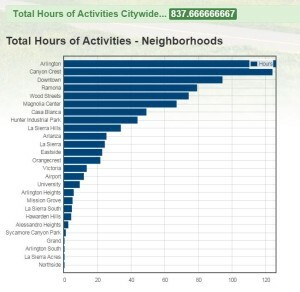 We are in our 4th week of the challenge and have close to 850 hours of logged activities!!! Way to go As you can see in the chart below, Arlington has taken the lead for the most active neighborhood. Keep up the good work and check back soon for more updates.